Discussion in 'Comics Central' started by Mel O'Drama, Jan 5, 2018. I'm so happy they've gone for the dark, off kilter tone of Sienkiewicz's run. And the Pink Floyd cover is a great choice for the creepy trailer. The choice of characters works really well for me. All are original members, barring Illyana (and even she arrived early on in the game). It feels much purer than the X-Men films which throw together characters from different eras. The look and ages of the female characters in particular has translated really well to how I'd imagine them. Illyana couldn't look any more like her comic counterpart and Rahne is appropriately cute. The only one who looks wrong is Sam, who needs to be blonder and lankier, but I can live with what I've seen here. The characters have some really interesting backstories and it looks like this film is going to explore those. I'd like to see Karma and Magma in future films. Maybe Doug, too (if only because I had a crush on him during the Eighties). If the series heads into crossover territory, the must-haves would be Professor X, Kitty and Moira. And a live action Stevie Hunter would be nice. But from the look of the trailer I'm thinking they know exactly what they're doing. And after the initial trilogy, there has to be a Magik spin-off film, exploring Illyana's seven years in Limbo. My guess is that Illyana will be the breakout star of the series in the way that Wolverine was the X-Men, so I'm sure that'll happen. The New Mutants film has now been pushed back significantly in the schedules, with up to 50% of it being reshot to include a new character or two. I'm really hoping for Karma, since Xi'an was such a key part of the early days. 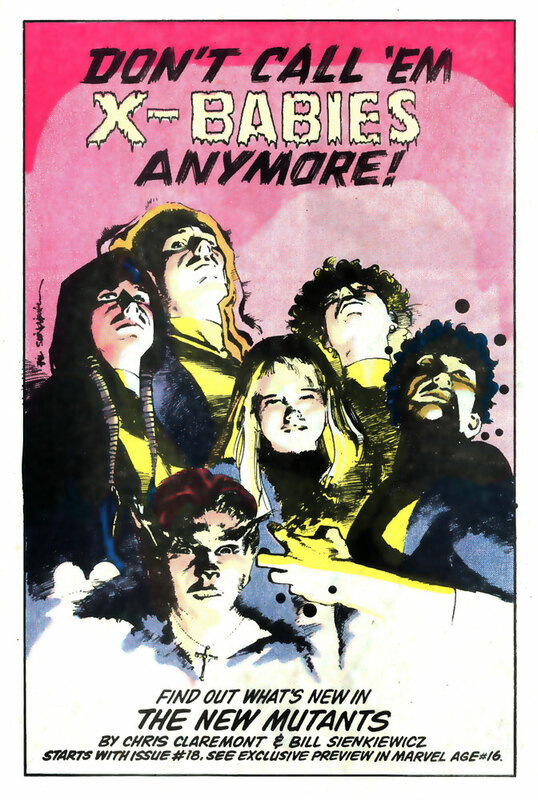 If not, I'd take Kitty Pryde, since her sometimes fractious relationship with the "X-Babies" was what drew me to the series in the first place. She'd be particularly welcome with Illyana part of the ensemble.